This post was actually originally an email response to another forum person who felt it appropriate to take a sliver of knowledge they gained to both challenge the quality of the products we work so hard to provide, and to infer that there’s some behind-the-scenes conspiracy going on at Kona Kava Farm and KavaDotCom. Instead of responding via email each time, this post will serve to answer what is a predictable tone and inappropriate request by this very exclusive minority (6 at most out of literally hundreds of thousands of Kona Kava Farm and KavaDotCom customers). Why even give them space on even one of our posts? Even though we personally know the immense commitment to quality both Kava companies provide, it can still hurt when just a few others try to undermine decades of effort on our part to bring you Kava of a safe and verifiable quality. We didn’t make it to the top by scamming people; we made it to the top because of our personal care of every one of our treasured customers, because of our passion for the Kava and Kava information we provide, as well as the FDA-compliant, GMP manufactured products that adhere to the strictest of safety protocols. And no, a few disparaging remarks don’t hurt our business; the rare times they’ve happened, we’ve actually seen a SPIKE in sales! So, any time these rare events happen, it’s an opportunity for us to share what we do here at Kona Kava Farm and now over at KavaDotCom as well. That makes us very happy as we don’t often toot our own horn! When we say that 2 teaspoons of a Kava extract will contain 95mg of Kavalactone, or when we say that our Kavalactone 30% Capsules actually are manufactured from a Kava extract that contains 33% total Kavalactone, with a lineup of 2-4-6; we’re not guessing. We’re simply looking at our data sheets from our testing lab, as well as the meticulous manufacturing records that are kept every step of the way. One of the current main themes is Vince Lebot’s Colormetric Kava Test. 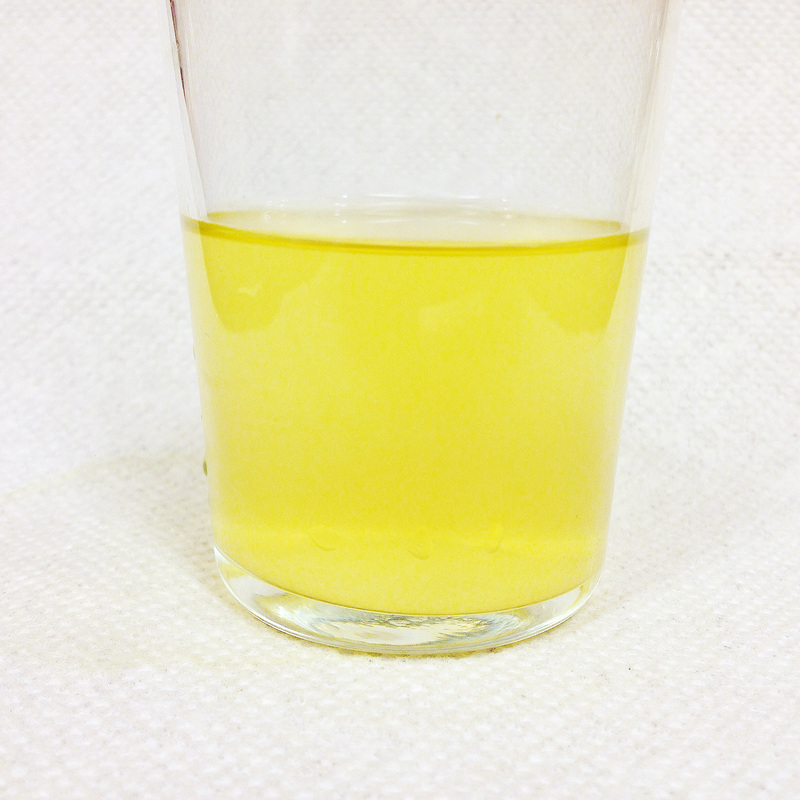 This test has been used to get an idea of the possible cultivar of Kava, especially in relation to whether it’s a Noble variety of Kava root or Tudei Kava. Mr. Lebot’s test has no actual scientific basis; a point he points out himself. I’ve been informed that he wishes the test wasn’t being used in the way it currently is. And, he even admits himself that there are exceptions to his test that render it relatively useless for making any real judgments or drawing any conclusions that people have then used as a basis for making disparaging remarks that hurt other real, live business owners and their sometimes-struggling companies. Oddly enough, without fail, we have personally received these kinds of disparaging remarks only from Kava forum members, who we feel, have been unfairly targeting and consciously hurting both Kona Kava Farm, KavaDotCom, and a few other Kava suppliers or information providers we are friends with. Although acknowledging them only typically empowers and emboldens them, we felt we should at least devote one article regarding this issue to remind our hundreds of thousands of happy customers how much we really do care. With the Tudei Kava test, especially in relation to our Mahakea Kava, we know there are exceptions to the “It must be Tudei Kava!” rule that seems to have been arbitrarily decided on a Kava forum or two. As we stated above; Vince Lebot knows there are exceptions. We have and offer one exception, and we currently have further results from another Kava supplier who has conclusively provided more Noble Root exceptions to the Tudei Kava Colormetric Test, showing an additional Noble variety with a chemotype of 2-4-6 appearing solidly orange. More importantly, though, is that by focusing on the color of the Kava, that’s not even the issue that anyone is really trying to discuss. The REAL issue is the fact that the color of the Kava might be an inferred level of Flavokavain B in that Kava sample. Tudei Kava is associated with elevated levels of Flavokavain B in Kava. Flavokavain B has received a lot of press lately, because a couple of scientists decided that there MIGHT be a connection to liver damage. But, this has not yet been proven and it remains a THEORY. Just because the Kava sample turns a specific color honestly doesn’t reliably mean anything beyond the fact that it didn’t turn the color most Noble varieties of Kava typically turn when subjected to this test. This is a fact. But even then, whether or not Flavokavain B, in elevated levels in any normal cultivar of Kava is dangerous to the liver, as far as I know, has NOT been conclusively proven yet either. So why so much focus on this all of a sudden by a few people who have been the judges and jury for an issue that is very much not scientifically decided or concluded at all yet? Why have a few chosen to take and then DEFEND a non-scientific test that is only inferring a possibility of elevated levels of Flavokavain B, to then post negative information about Kava companies, including ours. A discussion is one thing. We love discussion. We welcome and encourage discussion and respectful debate. Either there’s an air of “we’re the ultimate authority on kava” from what we’re hoping is just a few bad eggs who seem to judge others from the few slivers of information they think they’ve gathered on their sofas, from the safety of their living rooms. The other type we’ve experienced is the poster or emailer who claims to be acting under the guise of “we’re protecting the consumer”, when all they’ve personally done, from what I can see, is draw conclusions from a sliver of information that think they possess and understand and run with it, poking their nose in other people’s business instead of worrying about and tending to their own. Instead of inquiring kindly, with respect or any kind of social grace; we instead get pointed to a “KAVA ALERT” or wake up to another email that demands to see our internal documentation, the phone number for our testing lab, and the relationship of our company owners and employees to each other. As far as I know, these unkind people aren’t sitting with the actual farmers as we are, working through endless bureaucracy and paperwork, and expense, fighting the FDA and Homeland Security almost constantly to remain fair and unbiased, ensuring that 100% of the Kava products we offer are fully FDA-compliant and always manufactured to rigorous GMP (Good Manufacturing Practices) standards; a standard that no other Kava supplier we know of adheres to at the moment, all just to get your Kava to you. Honestly, it’s been an amazing battle and feat that any of the Kava suppliers are able to get Kava into the marketplace, much less make any real money by doing so, especially when such rigorous care is taken in processing and testing the kava root for safety as Kona Kava Farm has consistently done for years now. We don’t have to spend the money for 3 individual tests, but we do, simply because we’re so committed to providing lab-tested Kava that we feel is safer to consume than any other Kava in the marketplace. We know every single molecule of bacteria in our Kava, we know that our Powdered Kava Plus has 0.010 parts per million of Mercury, we know that our Kavalactone 30% Capsules have less than 10 cfu/gm of total coliforms, we know that our Kavalactone 55% Paste has a Kavalactone lineup of 2-4-6 because we test every molecule of product that we release into the Kava Marketplace. Does your Kava have that kind of care taken with it? Does your Kava have a Supplement Facts panel that is truly FDA-compliant, with clearly indicated milligrams of Kavalactone per serving, and not just one haphazardly slapped on to appear compliant? We all do it because we love to do it. We do it because Kava has enhanced and enriched our lives for generations. We do it because we believe that offering a product that enhances social interaction, that elevates mood, that helps us to deal with the anxiety inherent in modern society or the stresses of the day is something to be proud of and to fight for. We’ve seen lives transformed by quality KAva products; we’ve got testimonial after testimonial from thrilled customers that their anxiety was greatly reduced after taking ‘Awa Calm for just a week. After all that effort (which we don’t expect people to understand), after literally hundreds of thousands of happy customers over the past 16 years of online sales, by far the loudest voices are literally a minuscule few forum-goers who decide to post false information about how Kona Kava Farm is a scam, how we’re in the business of ripping people off, and so on. We wouldn’t still be around if were were in the business of ripping people off. And candidly; we honestly feel we provide our customers a level of quality we feel is unmatched in the marketplace. We just don’t spend our time tooting our horn about it. On a related point, why these same few people insist on looking for conspiracies where there are none, assuming the worst, disparaging us for a grammatical error or a misspelling, feeling they’re entitled to personal information about our lives, demanding that we respond to them “or else” is truly beyond us. We miss the days where people treated others with respect, giving people the benefit of the doubt, instead of judging them remotely as we remain safely protected behind the almighty buffer of the internet. In short: We don’t make numbers up or claim that our Kava has Kavalactone content it doesn’t; we take a true average of multiple samples, and provide real numbers for every one of the Kava products we offer. Really, we can’t help feeling that if these few people spent that much energy on their own lives instead of making assumptions about other people’s businesses and lives, it would be time, energy and effort far better spent. We are so strict in our adherence to GMP standards that we run tests at the farm, once our Kava lands in our manufacturing facility, and then again before it goes out the door as a finished product. 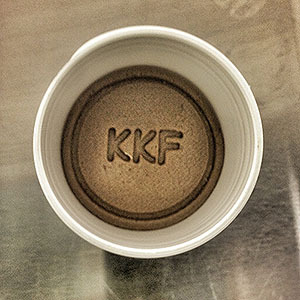 It’s expensive, but that’s how much we care about the quality of our Kava products. We also boast customers who’ve been with us since 1998, and we have more returning customers in our solid customer base of any we’ve ever known. We’ve never think to post what are now hundreds of positive emails from happy customers, because we always want our products to speak for themselves. Yet it’s amazing how high a single post disparaging Kona Kava Farm can appear on search engines when the right combination of search terms is entered. We’re so proud of that fact, and we spend our time catering to them, growing, harvesting, and manufacturing the happiest kava cultivars we can find. So, yes, 100% of our Kava goes through a stringent series of tests, as we test for Flavokavain B, Kavalactone lineup, micro contaminants, adulterants, as well as 5 metals, including lead. We care enough about the safety of our treasured customers to go above and beyond the normal testing that we know most don’t even do at a most basic level. Most of the KAva we purchase from competitors doesn’t have any compliant labeling on their Kava products; a practice we’ve been doing for several years now as new compliance rules came online from the FDA. READ MORE: Is Your Kava GMP Kava? READ MORE: Proud of Our GMP Products! Sadly, it’s come to my attention that there have been some disparaging remarks regarding our prized Kava in one or two places on the internet. Apparently, there’s a colormetric test that Vince Lebot developed in order to identify different cultivars of Kava. 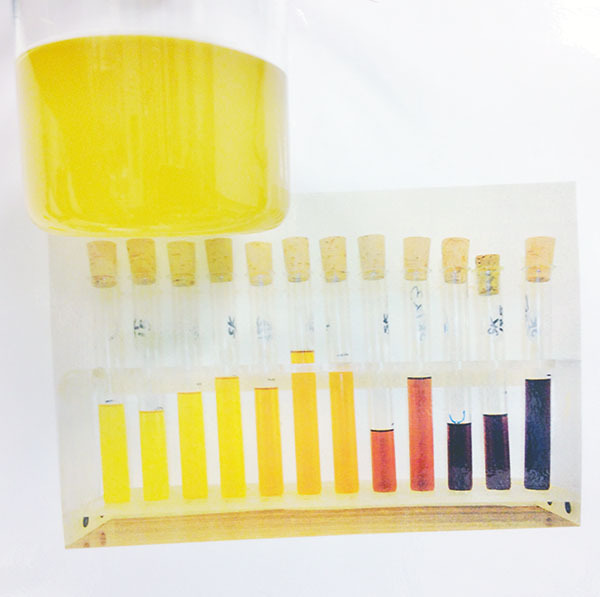 With his test, the theory goes like this: If a Kava causes a color change in solution to a golden yellow hue, then the Kava is a Noble variety, such as Vanuatu Noble, or our prized Mahakea strain. If the Kava causes a color change to an orange, then it’s Tudei Kava. Recently, Tudei Kava has been shown to have a substance called flavokavain-B in it, which MAY be linked to liver damage. This flavokavain-B only exists in Tudei Kava, so that poor cultivar is currently getting put through the wringer. Conversely, if the color is a deeper, darker reddish color, then the cultivar isn’t a Noble variety such as Vanuatu or Mahakea at all; it’s something else entirely. That, in itself is something useful when identifying a cultivar of Kava. We’re not typically swayed by those who choose to disparage us on public forums, nor do we acknowledge those who are not man or woman enough to ask us questions directly, instead posting on a public forum with words that could damage our hard-fought-for reputation, before even speaking with us, or giving us the opportunity to defend ourselves if we so choose. Acknowledging their cowardice only empowers them, validates them, so we stick to doing what we do best; provide our customers with the absolute best products and services we humanly can, taking a personal interest in everything we do. So, we decided to run one of these tests ourselves out of our own curiosity. We’re no experts when it comes to Kava testing, but this seemed like a harmless and fun experiment. First, we wanted to explore the scientific validity of this testing method. We wanted to understand the mechanism involved in it, so we could trust the results. If we were going to use this test to slam a Kava supplier, we want to be sure we’re on firm factual ground. It turns out that the mechanism of this testing method is not even known. And, when we did some of our own testing, we found that it was not that difficult to somewhat skew the results to resemble what we wanted the result to be. If we wanted to come up with a light golden hue, we could thin out the resulting liquid just a bit. If we wanted it to be slightly more orange, we could add a bit more Kava, and stir for a little while longer. This was the case for any Kava we tried (and we tried Kava from multiple vendors out of curiosity), although our Kava never got close to a couple of our competitors’ rich orange hue. 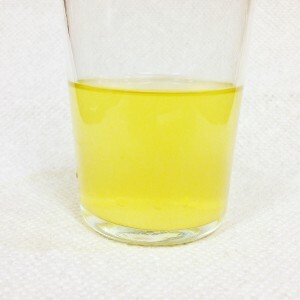 The point is, though, in this very scientifically unsound testing method, it was possible to get a slightly orange hue out of ANY of the Kava we tested, depending on how concentrated we made the Kava in the solution. So, knowing that, and knowing that the mechanism of this test is not even known, how reliable of a test is this? Is it reliable enough to have the first choice of someone who does the test to run to a public forum and accuse our company of adulterating their Kava? I wouldn’t personally make those choices (nor do I have anyone in my world who would make those choices), but we all have our reasons, and who am I to judge? All I can do is continue to work as hard as I can to ensure the continued quality of our Kava and what I feel is the stellar personal service that comes with it, just as we’ve been doing since the late 1990’s online, and for generations before there was a thing called the internet. Not to harp on this, but I do understand that the consumer is concerned about bunk product being in the marketplace, that they may want to lead a fight against fraudulent products and companies. I’m just saying that I feel there’s an adult and far more courageous way to go about it, though the proper channels. I don’t feel that not facing the person you’re accusing directly, by hiding behind an avatar, using a non-scientific method to get a result, and then disparaging a company who has worked hard on their online and offline family business for longer than many of you have been using the internet, is how I would have chosen to go about seeking remedy. I don’t know about you, but that looks as golden a hue as golden can be. According to the very non-scientific test by his Eminence Vince Lebot, it appears to my eyes, that our Mahakea Kava and our Powdered Root Plus Kava passes this test with flying colors. Our Powdered Root comes up orangish, I’m not sure how someone got the rich orange color that was claimed elsewhere on the internet, but all I know is that I was unable to replicate that result with the product I know is in packages and going out to our customers. Although I think it’s a terrible waste of Kava, if you feel the need, feel free to try this test yourself on Kava you purchase from us. If it doesn’t come up with the same Golden Hue that I came up with, let me know what you did and how you did it so we can discuss and address your concerns directly. We do not adulterate any of our products. If any treasured customer has any issue whatsoever with any of the products you purchase from us, just contact me directly at kavashop at konakavafarm dot com, and I will answer your concern personally. If you have any issues with your order, please send off an email to makaira at konakavafarm dot com, and we’ll work together to make it right. We certainly didn’t survive all these years by offering a bad or adulterated product; we survived by being as passionate as we are about our Kava, our Kava products, and the treasured customers who come back to us time and time again, and doing our absolute best to encourage Mother Nature to provide us with potent plants with plenty of positive, happy energy, year after year.